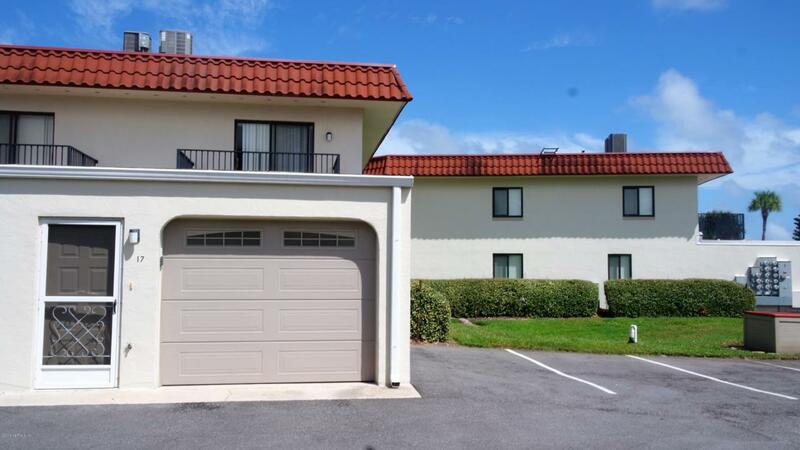 With balcony view of the courtyard pool, ocean breezes and sandy beaches of St. Augustine an easy stroll down the road, you can't beat the location or price of this beachside condo. 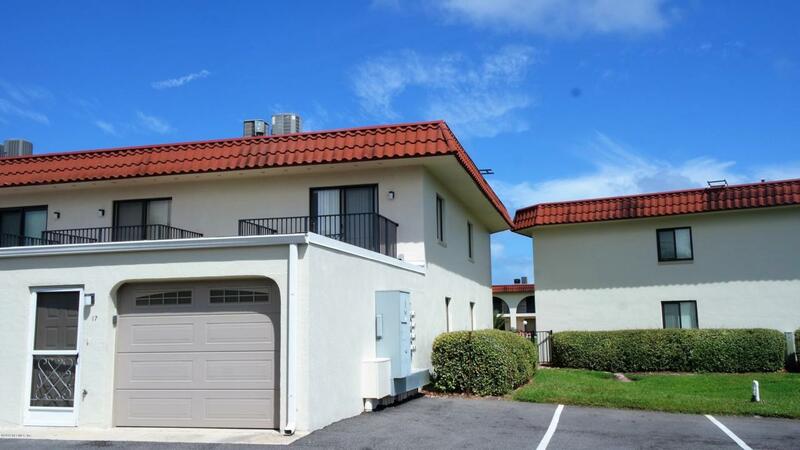 Two bedrooms and two bathrooms in this furnished townhome style condo for a wonderful second home or fantastic opportunity to live near the beach, made complete with ground floor entry and attached 23x15 oversized garage for your car and all your beach toys. Three patios and porches provide plenty of outdoor living space to relax or entertain. Furnishings include a Queen bed in one bedroom and two full sized beds in the largest room. 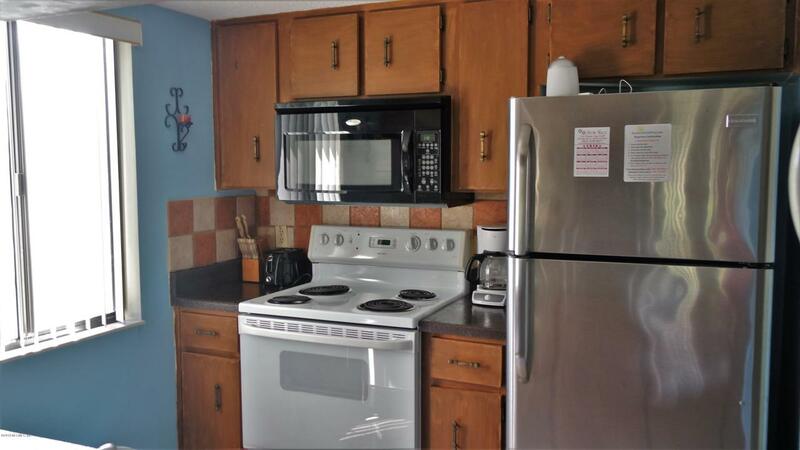 Full living and dining set downstairs. Washer and Dryer Included. Great beach location with restaurants and shops nearby.Historic Downtown St. Augustine and tourist attractions just a short drive. Renters insurance required. Make your appointment today! This rare opportunity will not stay long. 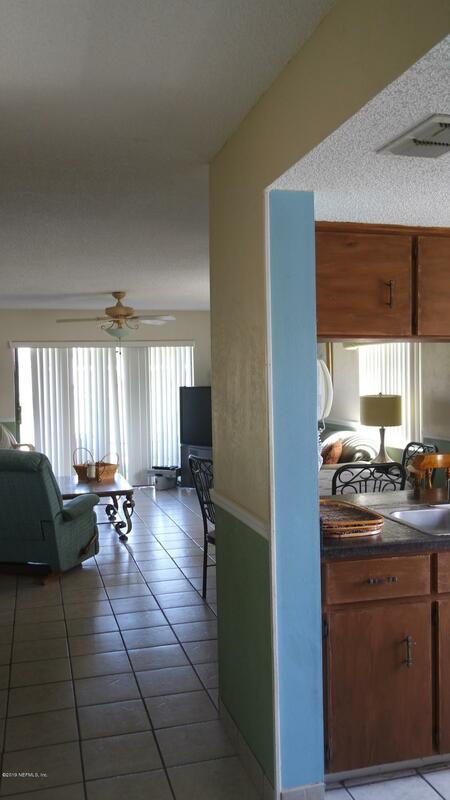 Rental available for shorter term rental no less than 7 months- please call for details.